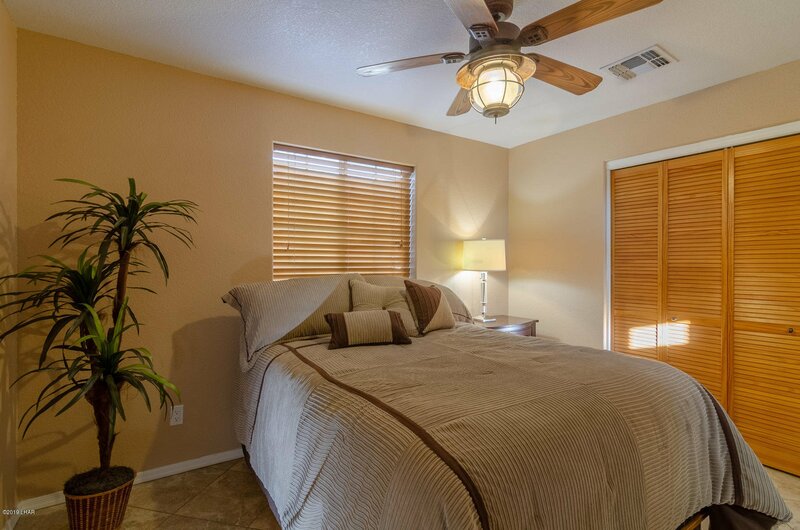 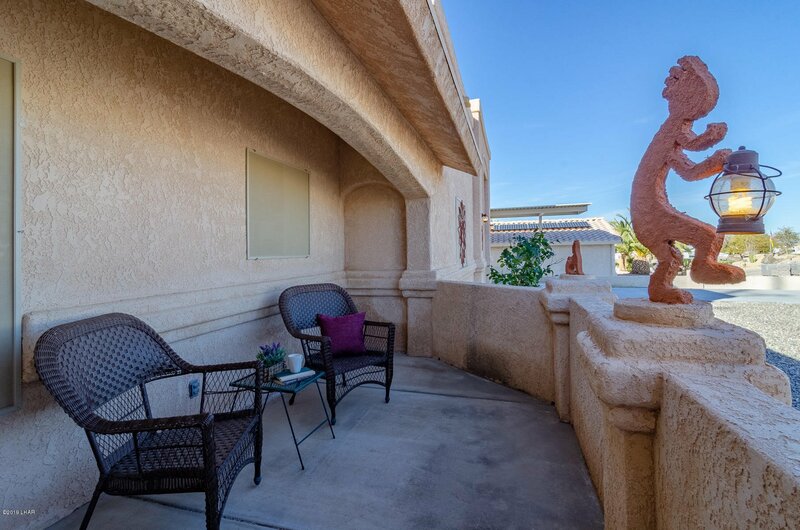 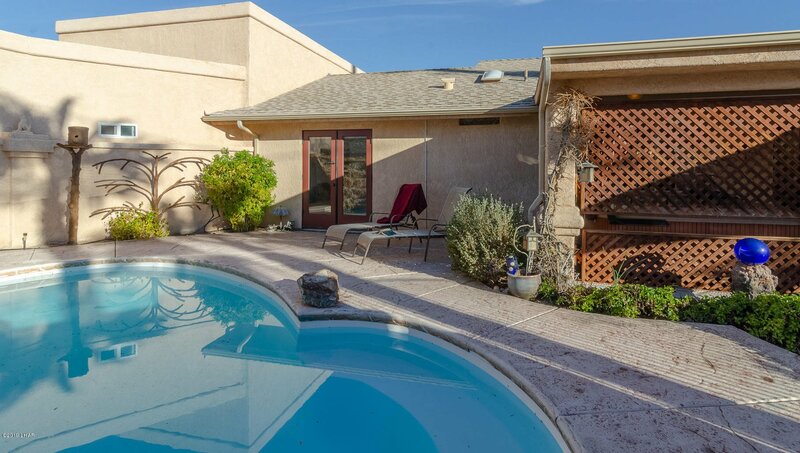 With a wonderful view of the desert this gorgeous pool home also features a complete guest house! 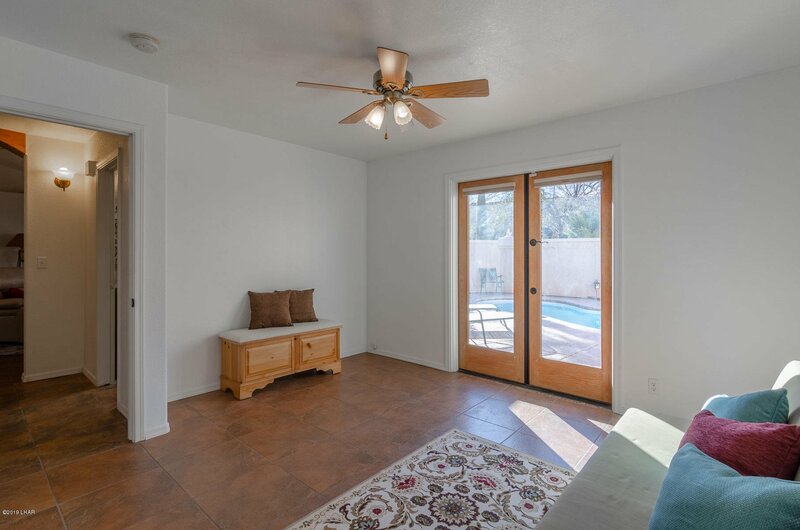 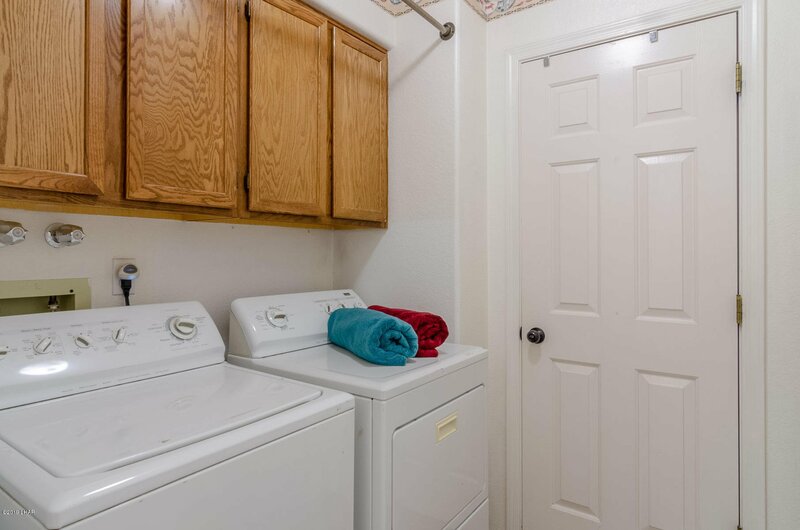 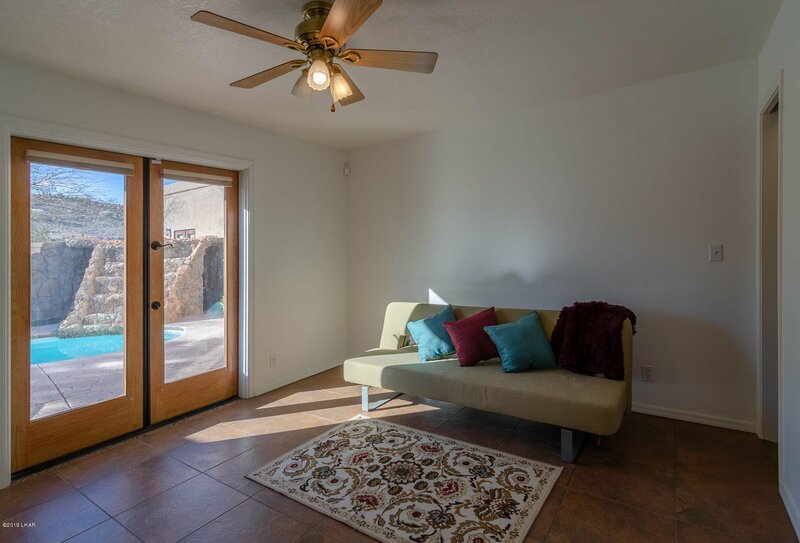 Not just a casita but a full kitchen, separate bedroom and bath, plus living space with private entrance or direct pool access. 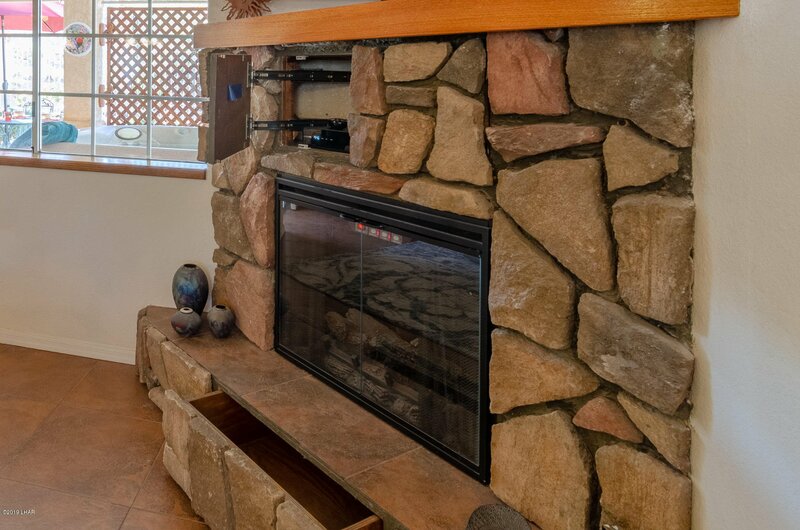 Inside the main house there's granite counters, glass front cabinets, and a stone fireplace with hidden compartments. 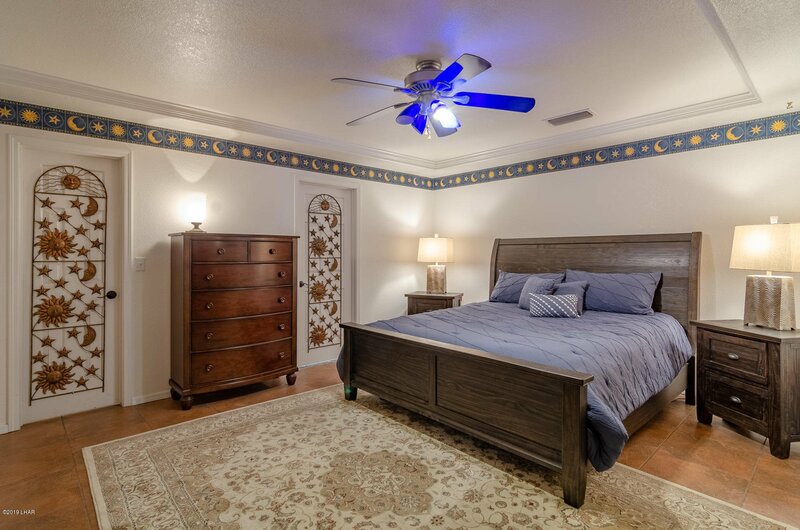 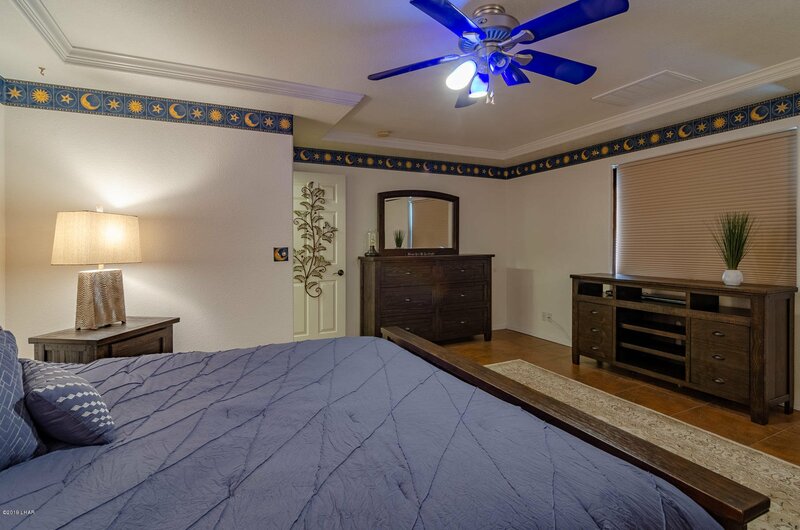 The main house has a Master Suite and 2 Guest Rooms in addition to a bonus room to use as an office, den, exercise room or library. 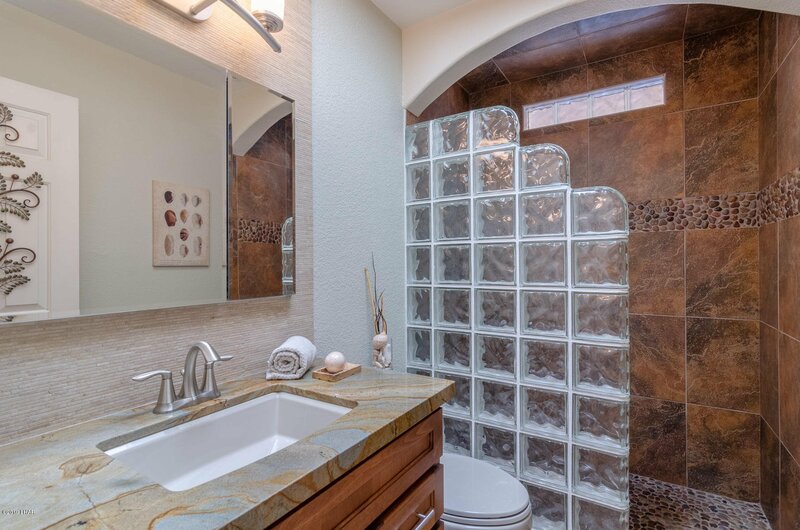 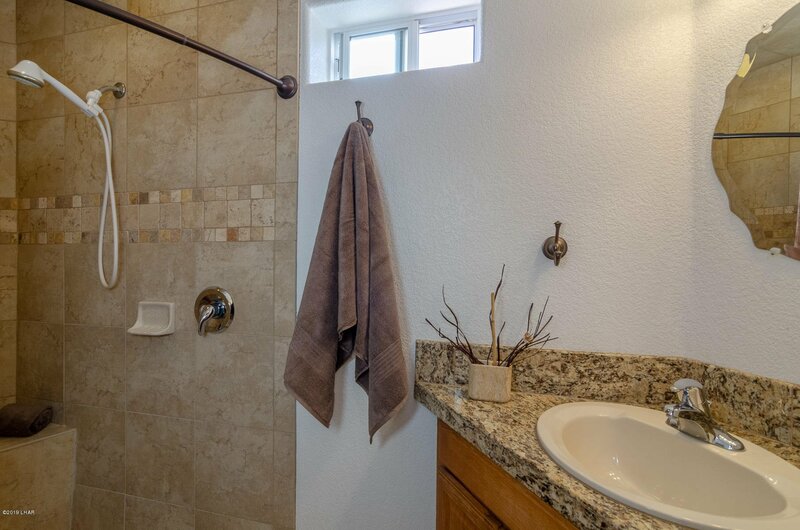 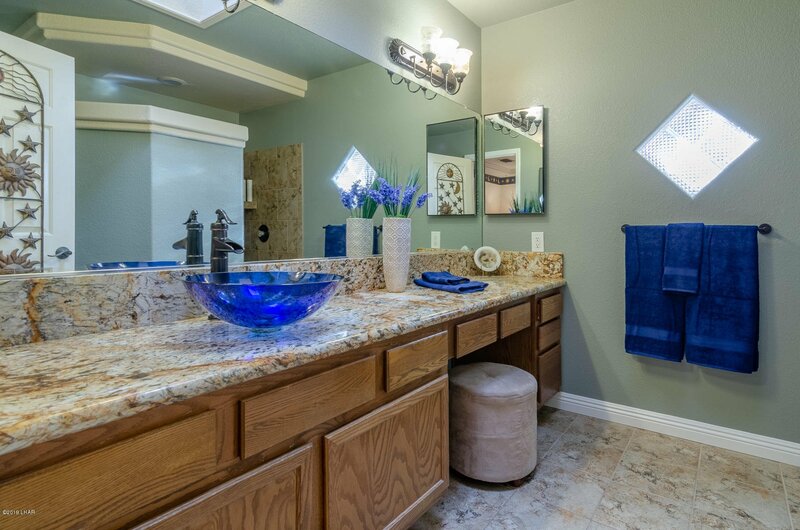 A beautiful vessel sink is in the master bath. 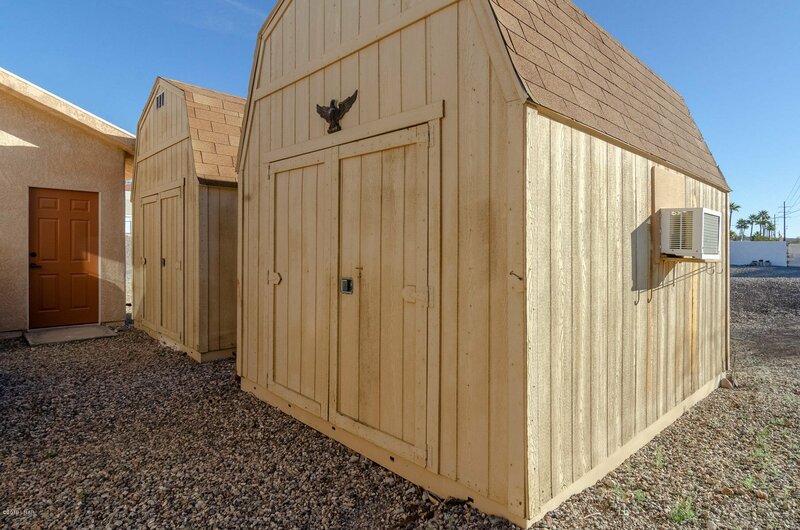 Two sheds, huge attic space and a loft in the 4th garage offer massive storage space. 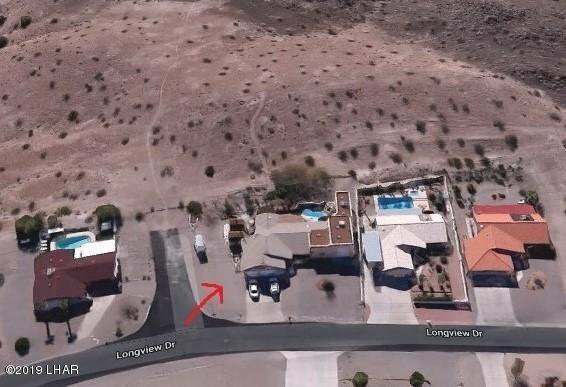 The corner lot gives you plenty of parking options. 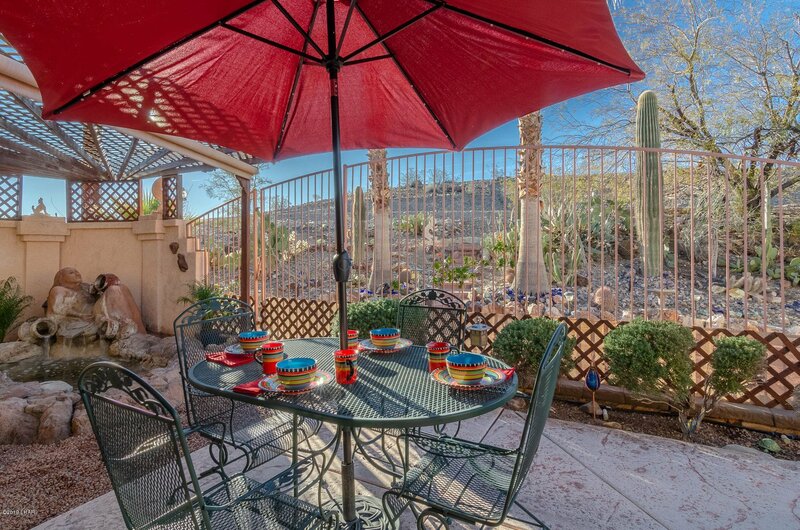 The backyard features a beautiful fountain that could be used as a koi pond. 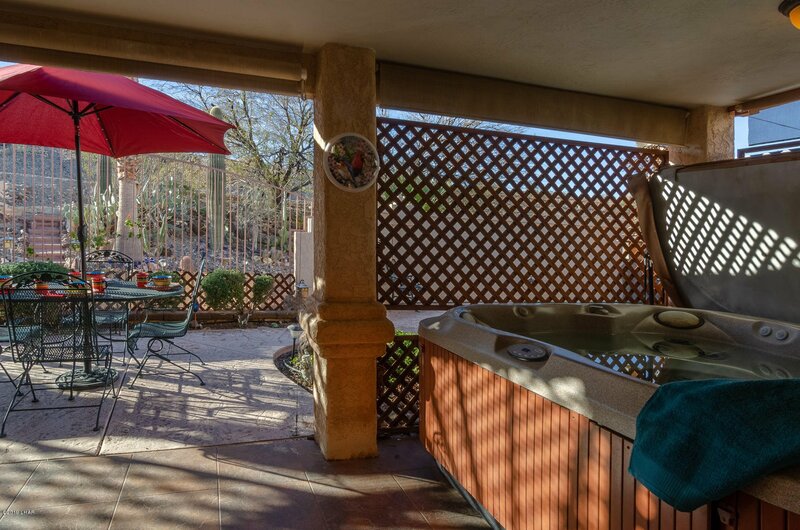 There's also a rock waterfall into the pool and a separate hot tub under the covered patio. 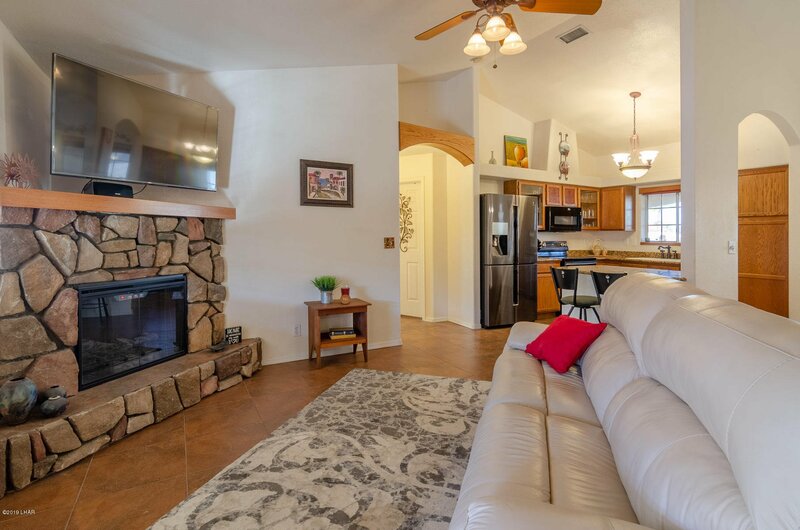 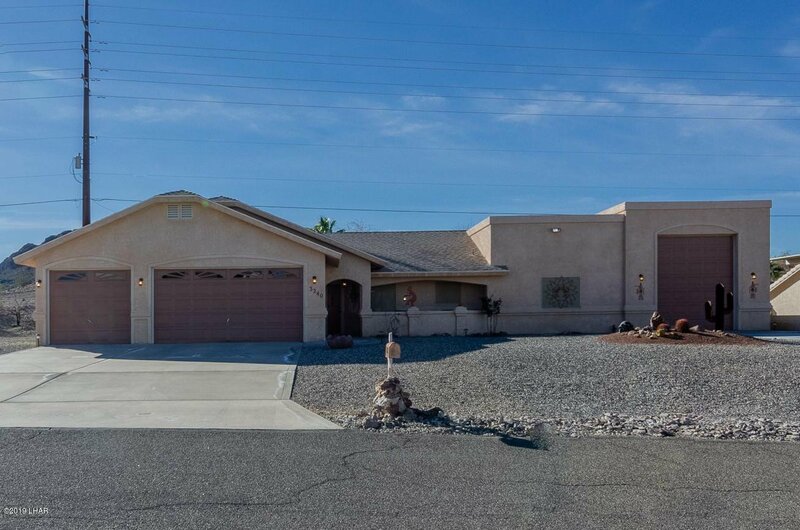 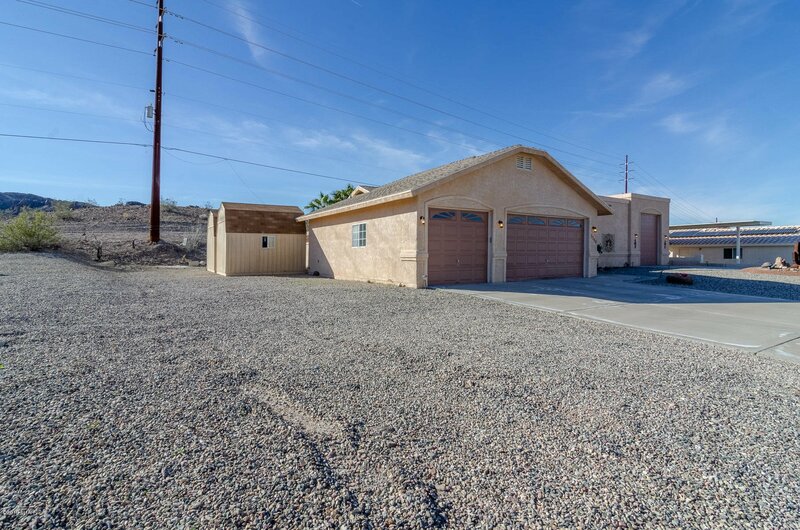 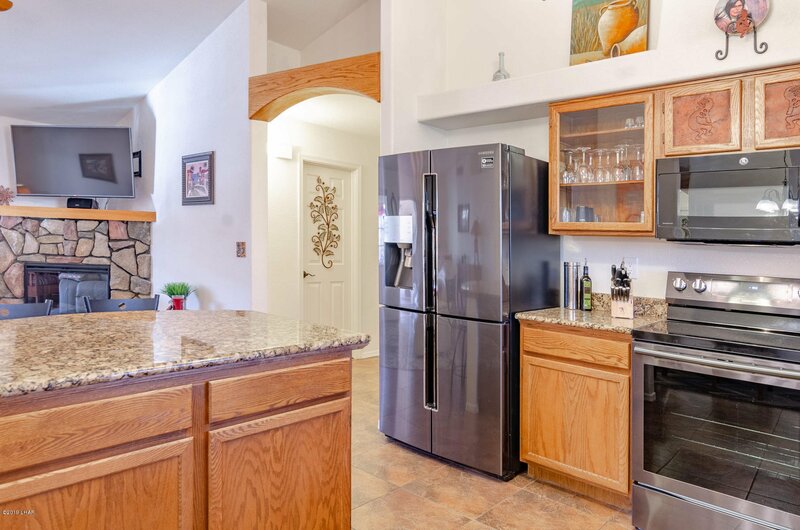 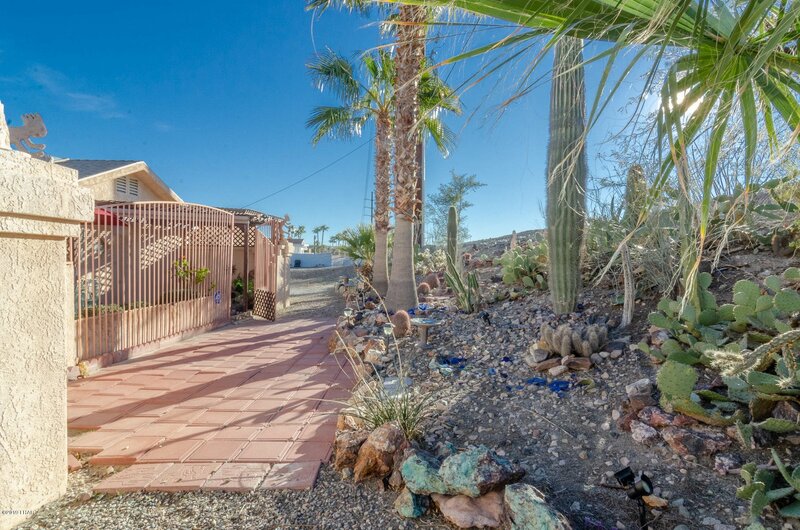 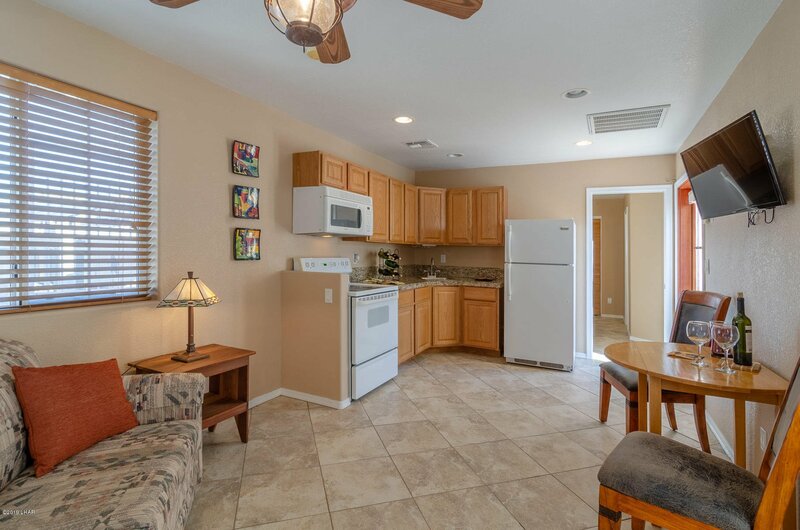 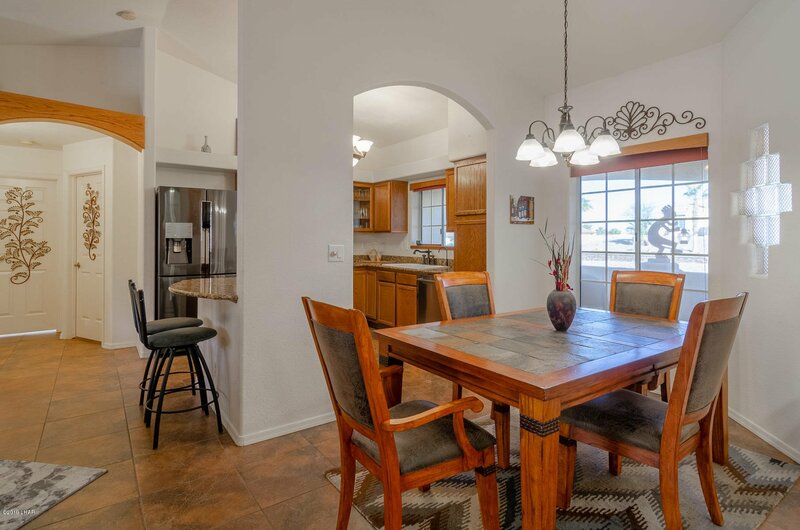 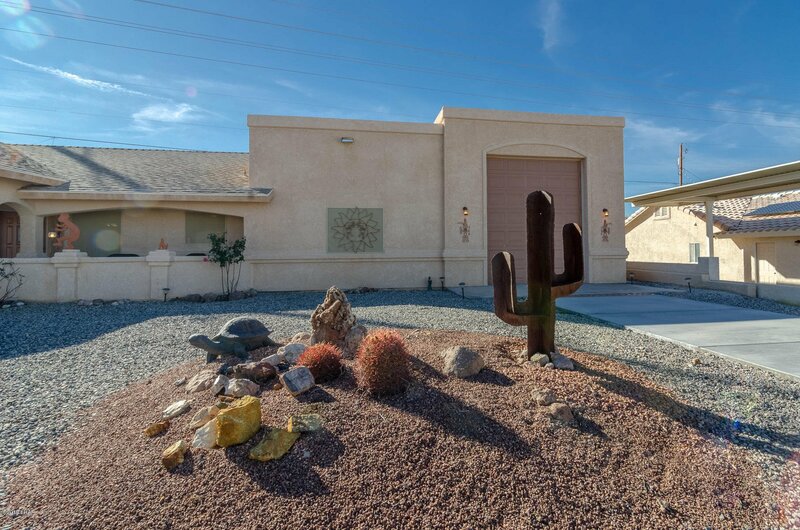 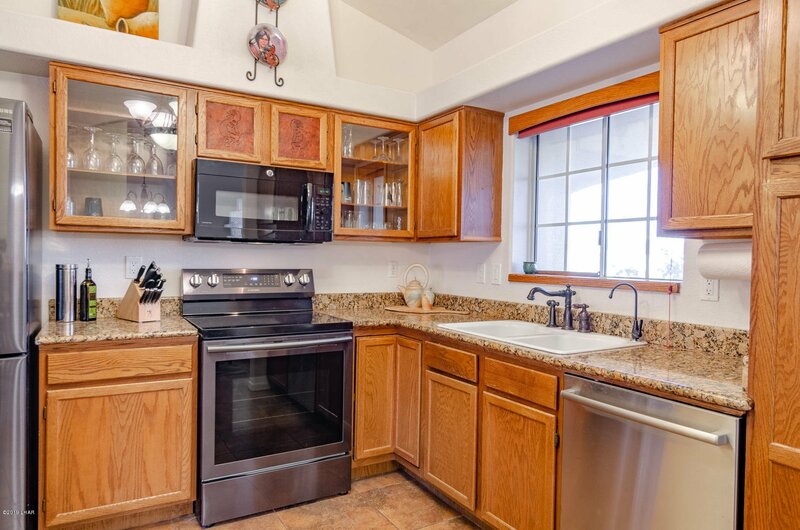 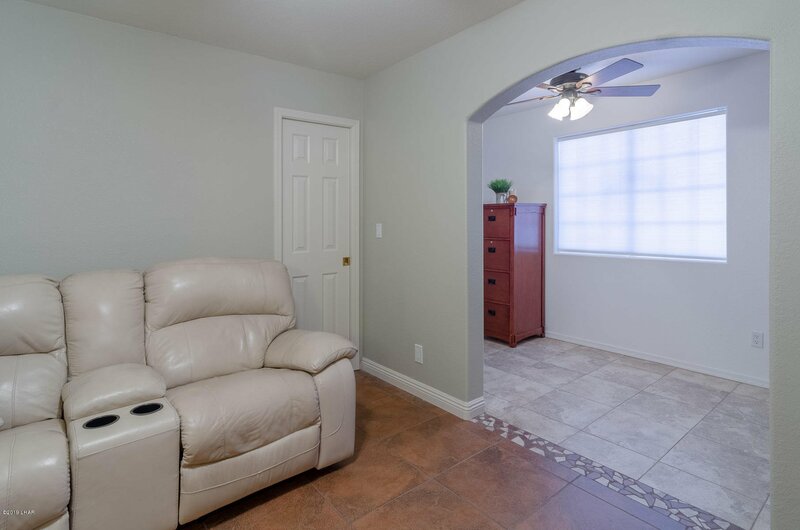 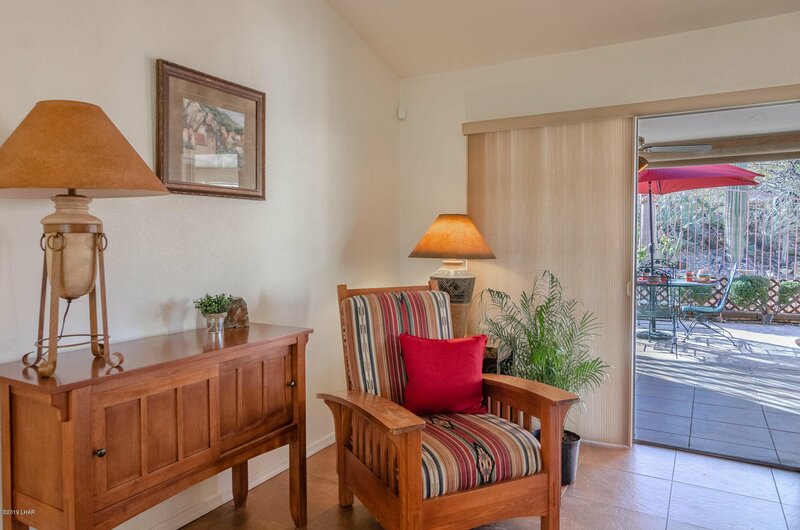 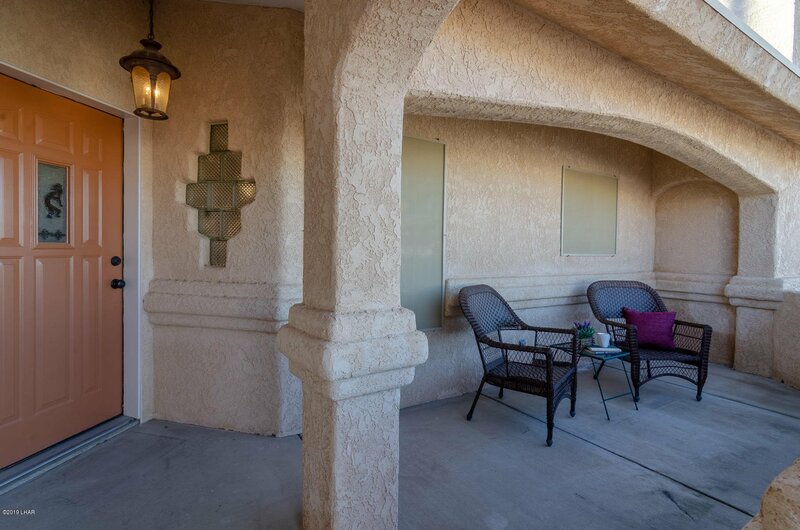 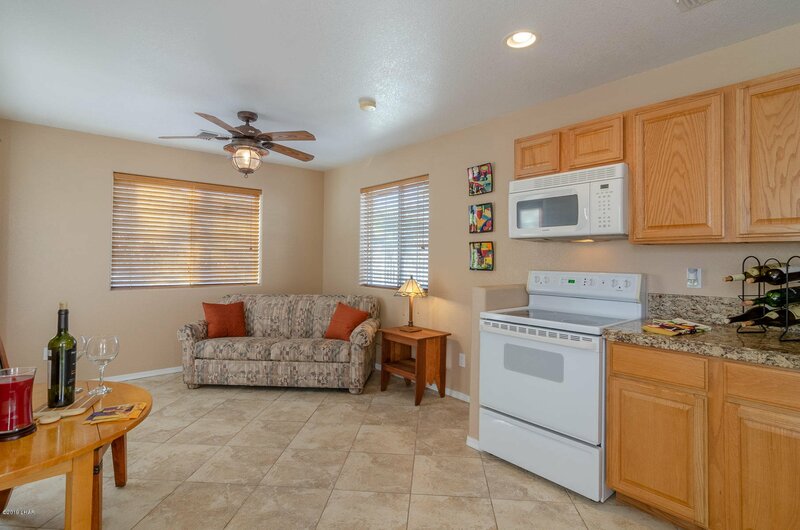 Stop by today and see the many things this beautiful house in Havasu has to offer! 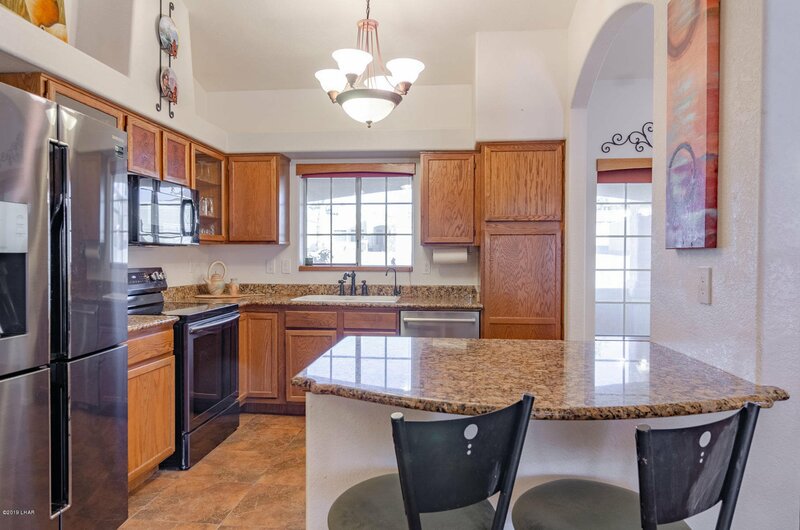 Listing courtesy of Re/Max By The Lake.